Next stop - snow pile! Let your dog bound across every snow pile with these snow-proof, winter warrior dog booties! Made of soft faux leather, rubber, and cotton, the outside of these booties offers water-proof protection against the chilly snow, while keeping your pup's paws warm and protected. 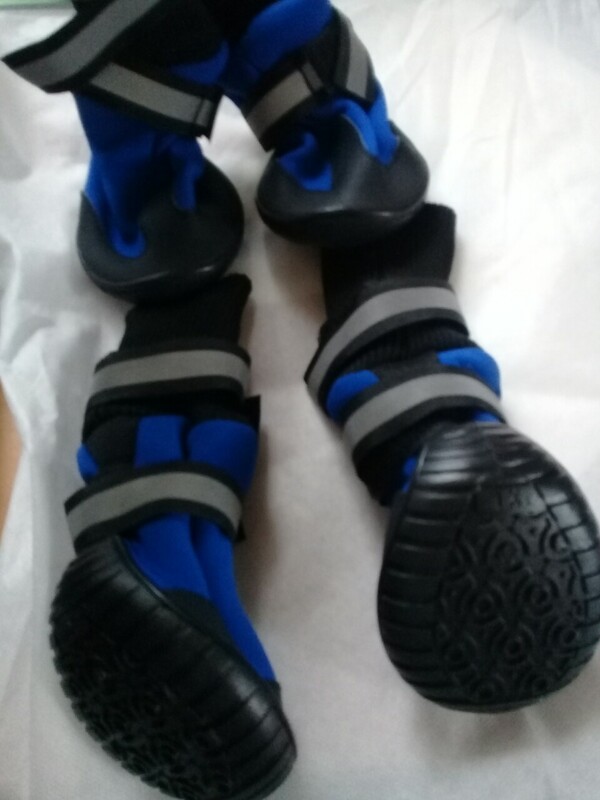 The long height of these booties provides added protection and comfort for your dog's ankles and lower legs. 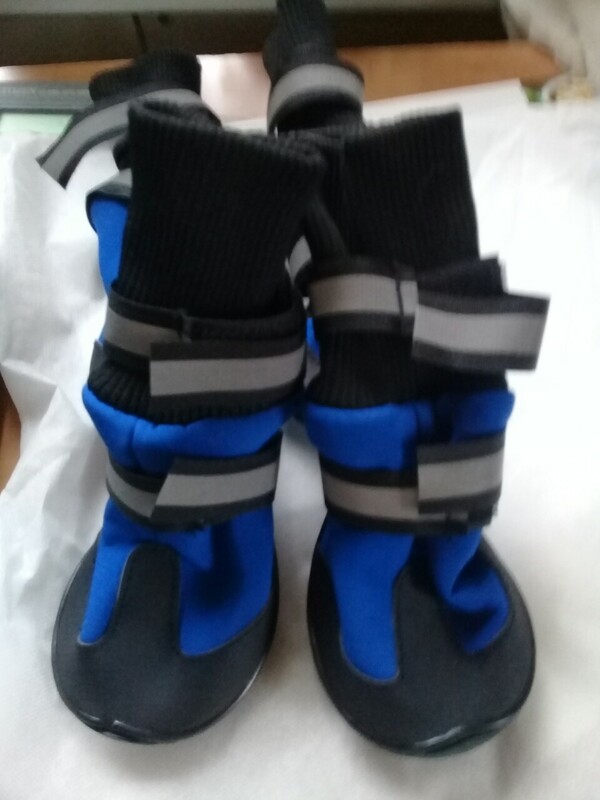 Plus, these dog winter boots also feature velcro closures for some slight size adjusting and for easy removal, as well as anti-slip soles to prevent your pooch from sliding across the ice! SIZING NOTE: Make sure to measure your dog's paws - don't rely on guess work! 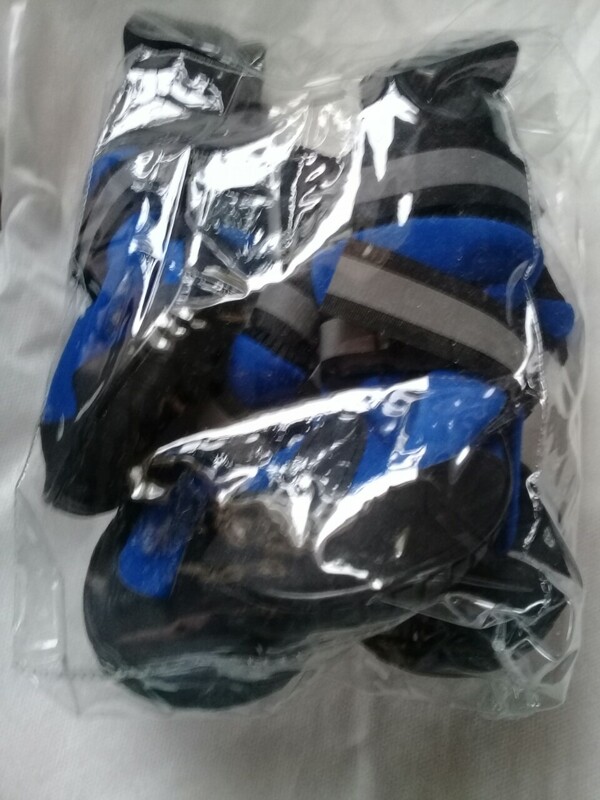 Dog shoes should fit snug, but not tightly. Avoid going to large, as loose shoes can fall off your dog. XS 2.20" 1.97" 1.73" 3.54"
S 2.36" 2.24" 2.01" 3.54"
M 2.64" 2.48" 2.20" 4.72"
L 2.95" 2.83" 2.52" 4.72"
XL 3.23" 2.83" 2.64" 4.96"
Great question! 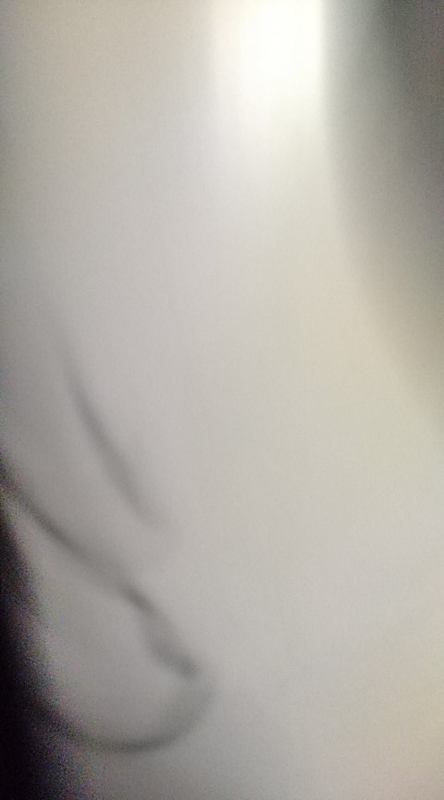 The outside width is the amount of surface area the boot takes up, while the inside width refers to the inner area of the boot. For sizing purposes, you'll want to refer to the inside width. You'll want your dog's paw to match the inside width (or be slightly smaller to prevent the boot from being too tight). However, too loose is also bad, since the booties will slip off. Even the Large size boots were too small for my medium dog. They seem to not allow room for the dogs nails. This would cause a lot of pain in the dogs paws. I threw them away. I didn't even want another dog to suffer wearing them. these seem like a really great set of boots, but they are contoured so well the paw can't get passed the narrow part right behind it. these are impossible to get on, therefore useless. I measured my dog's paws several times, and followed the size chart. The straps make it difficult to put on my dog’s feet. They curl and stick and get in the way of trying to pull them on. 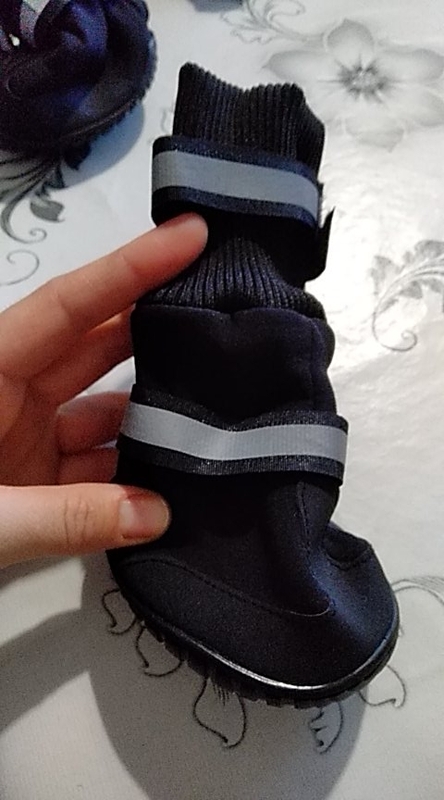 I bought a size larger than my dog needs because a different type of boot I bought were too short and the snow was so deep it got into the tops. The new boots are high enough but I couldn’t get them on well enough so my dog could walk in them. Ordered L for my Shar Pei, but found that it was too big, had to buy the size M instead. Good shoes, flat seams, do not stick out. Sole is thick, but flexible. Good size for large dog, such as Rottweiler. Is fully consistent with the description.